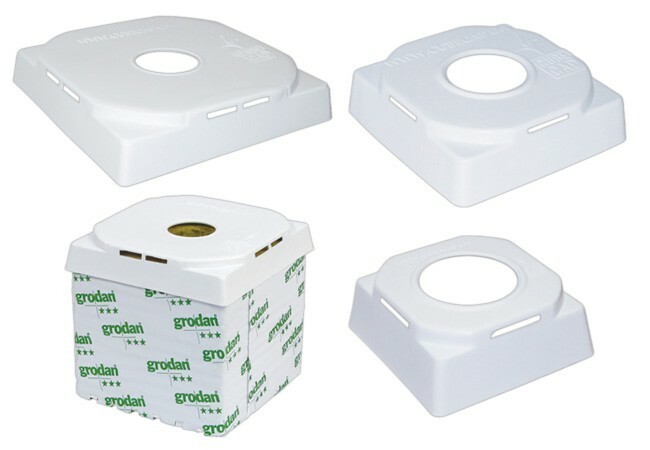 The Cube Cap™ enables you to naturally and efficiently eliminate algae, fungus gnats and their root eating larva found on rock wool and coco growing blocks. It is one of the first environmentally safe solutions available. In addition, you are able to recycle and reuse the Cube Cap™ thus saving on costs. The Cube Cap™ deprives the cube of its light by reflecting it back up towards the plant and away from the top of the block thus, making it difficult for any dark green algae to form. The Cube Caps patented technology allows the necessary air exchange by way of its unique elevated, vented design. 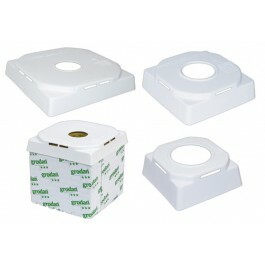 Designed for use with 3", 4" and 6" rockwool blocks.